Patrick Aloysius Ewing Sr. (born August 5, 1962) is a Jamaican-American retired Hall of Fame basketball player and current head coach of Georgetown University. 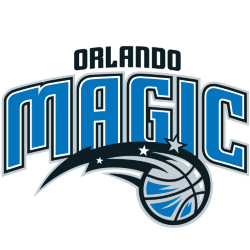 He played most of his career as the starting center of the NBA's New York Knicks and also played briefly with the Seattle SuperSonics and Orlando Magic. Despite a stellar professional career, he never won an NBA Championship. 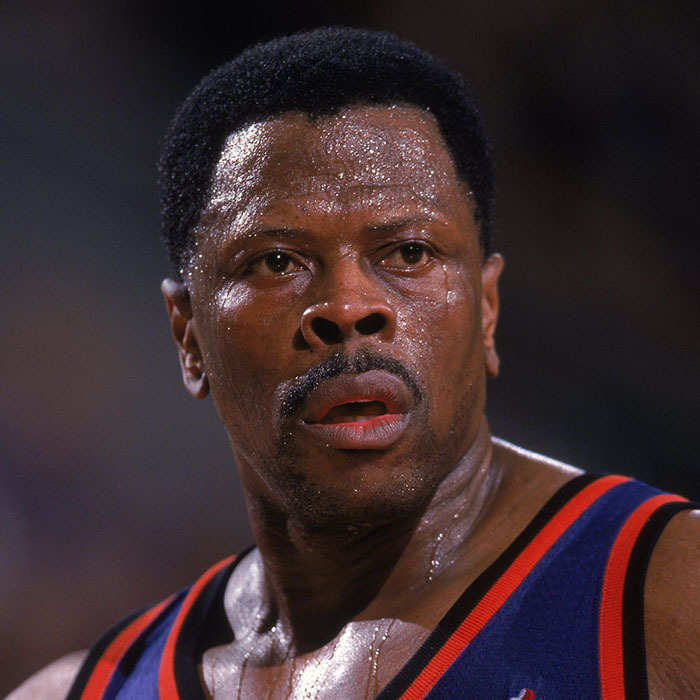 Ewing played center for Georgetown for four years—where he played in the NCAA Championship Game three times—and was named as the 16th greatest college player of all time by ESPN. He had an eighteen year NBA career, predominantly playing for the New York Knicks, where he was an eleven-time all-star and named to seven All-NBA teams. 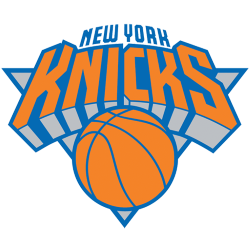 The Knicks appeared in the NBA Finals twice (1994 & 1999) during his tenure. He won Olympic gold medals as a member of the 1984 and 1992 United States men's Olympic basketball teams. 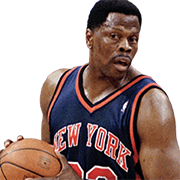 In a 1996 poll celebrating the 50th anniversary of the NBA, Ewing was selected as one of the 50 Greatest Players in NBA History. He is a two-time inductee into the Basketball Hall of Fame in Springfield, Massachusetts (in 2008 for his individual career, and in 2010 as a member of the 1992 Olympic team). Additionally he was inducted into the U.S. Olympic Hall of Fame as a member of the "Dream Team" in 2009. His number 33 was retired by the Knicks in 2003.